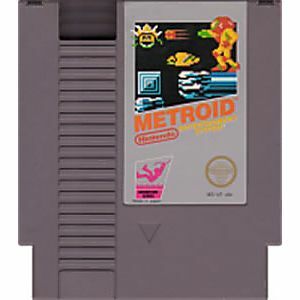 Pirates have captured an alien life form known as Metroid, which was responsible for the destruction of an entire planet, SR388. . It's up to you to prevent the Mother Brain that controls Zebes from using the Metroid for evil purposes. But that won't be easy. This is where you, Samus Aran, bounty hunter par excellence come in. Your mission is to stop the pirates and capture the Metroid. If you survive, it will be you and your acquired powers against the Mother Brain. Cartridge was in mint condition. As for the game it’s definitely a challenging game without a guide, but still fun. Recommend this title! My copy was in perfect condition. It's a must have for me since it's the first of the metroid series. Really fun game as well! I love metroid. Great game at a great price. I did have to clean it because it was quite dirty. But works perfectly! One of my favorites from my childhood. Arrived very quickly and in great condition as always. Lukie is number one for the classics. 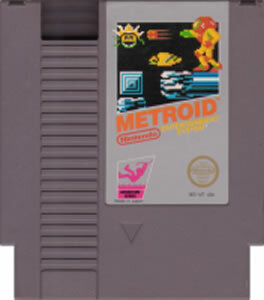 Another classic title from the #1 seller in vintage 8-bit carts!! Thanks Lukie...talk to you soon!!! First class service from Lukie games team. 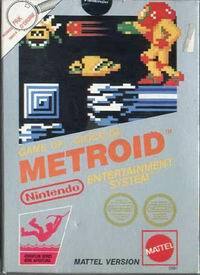 Metroid, one of the first games I bought for the NES, and is still great to play. 5 stars. Such a great game. Especially for the time it was made. I never owned this game as a kid, just rented it a bunch. It was great to play it again. Très bon jeu parmis les meilleurs de la console NES. Good and fast shipping. The game is so good. Graphics are awesome. Controls are superb. Music is fantastic. Must play. This was part of my second order from Lukie. This game was in great condition including the label. Like always, I personally cleaned the game, and it fires right up on the first try. This is a great classic and must have for the NES. No game saves though and utilized the archaic password system to pick up where you left off. This will provide hours of gameplay and contains some easter eggs. Great game! Came clean and ready to play. A well designed side adventure game. There's a lot of awesome that can be said about this originator of one of the biggest video game franchises. Very, very good game !!!! Cartridge is in good condition and worked without a problem.